There has been a long, contentious debate about the presence of a radioactive gas called radon in granite. This debate mostly exists due to a history of misinformation on the subject. 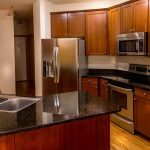 There have been many false claims about the dangers of using granite in home design. To set the record straight, there have been several peer-reviewed studies that debunk the myth of dangerous amounts of radon in granite. 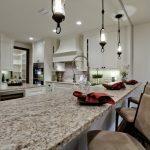 Here is why you shouldn’t be concerned about using granite while designing your home. In 2014, Associated Press writer Diana Marszalek wrote an article that contained misinformation which contributed to the myth of radon in granite. She wrote that a downside of using granite is that it contains trace amounts of radon. She then suggested that quartz is a better option than granite in terms of safety. This is a misleading statement. There are many household items that contain radon, and few of them have levels high enough to affect one’s health. For example, bananas and potatoes contain trace amounts of radon. This does not mean that you should throw away all of the bananas in your house. It means that trace amounts of radon are everywhere, but the levels are so low that they are basically irrelevant. A television show called “The Doctor’s Show” contained another source of misinformation. During this episode, they compared having granite in your home to smoking half a pack of cigarettes a day. When information like this circulates to a large public audience, it creates unnecessary concern. To combat the claim, The Marble Institute of America’s legal team presented evidence that The Doctor’s Show’s Claim was false. The program quickly retracted their statements. If granite had a serious issue with radon, the negative health effects would be most apparent in the laborers extracting the material from the ground. These workers would have a disproportionate amount of radon-caused health issues. The Environmental Health and Engineering Department of Cambridge University set out to study the effect of radon gas on these laborers. The department found that people working with granite did not experience an elevated amount of radon exposure. Remarkably, they experienced radon levels lower than the average “background” levels that exist everywhere. Granite fabricators are another group that theoretically would be affected by radon levels. 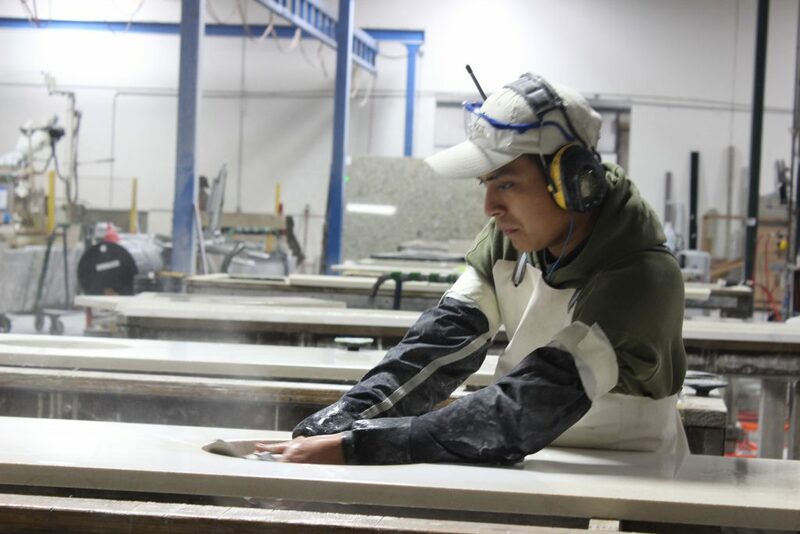 Stone fabricators constantly work with granite for 40 hours a week, installing and cutting through the product. The Marble Institute of America conducted a study on how granite affects stone fabricators. They found that fabricators have no greater risk of radiation exposure than the general public. This is another strong indicator that granite is safe. PMI International Stone Importers is a wholesale company that sells exquisite stone products for home design. 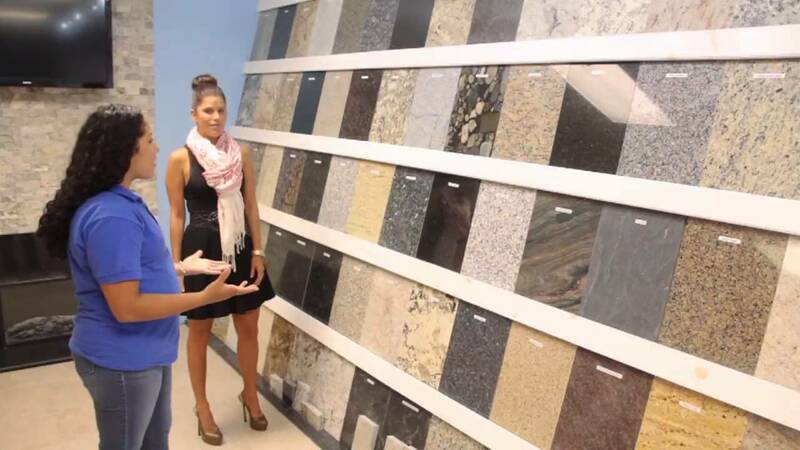 For over 30 years, PMI has sold a large inventory of stone, including granite to adorn your home with. PMI delivers safe and beautiful products that do not contain unsafe levels of radon gas. 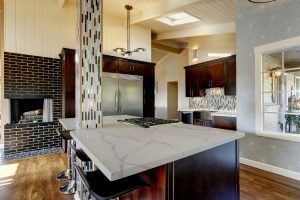 Ignore the misinformation and contact us for top quality granite.